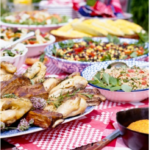 Memorial Day is the kick-off to summer which means, if you have a grill, hopefully it’s been prepped for months of extended use. Living in the city we obviously don’t have the luxury of walking out in our backyard to fire up the grill. However, when we venture outside the concrete jungle, we almost always opt for any meat and veggies that have been prepped on a grill. Steak should be at room temp to ensure optimum grilling. 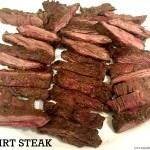 Just before grilling, pat steak dry, brush with a light coating of olive oil and season as desired. Add salt no more than 2 minutes before grilling to avoid drying out of meat. Always wait for the grill to reach medium heat as opposed to high heat to avoid charring your meat. Never cut into a steak on the grill. Use your finger to test its doneness. You should work on a clean grill grate that has been oiled with canola oil. Flare ups are a big part of grilling! Once off the grill, allow your steaks to rest before cutting. That’ll keep all the juices inside. T-Bones – Good for those who want the best of both worlds in a steak—New York Strip and Tenderloin. They’re best grilled to take on bold flavors. NY Strip – Otherwise known as the Steak Lover’s Steak. It’s got great flavor and tenderness and can be cooked in any manner. Filet – Cut from the tenderloin….the most tender cut of steak. Rib Eye – Most popular steak because it’s LOADED with flavor. It’s best grilled and remains tender through medium to medium-well. 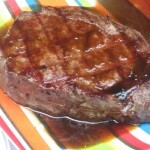 Top Sirloin – Best for cookouts because of its unique flavor and tenderness. It can be grilled, broiled, sautéed or pan-fried. 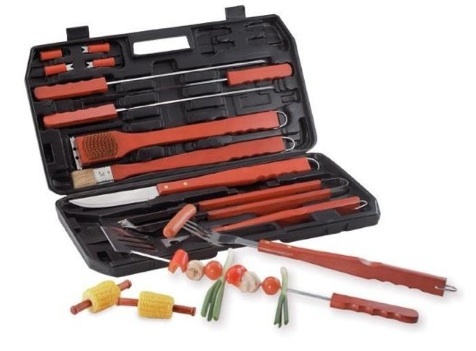 The Chefmaster 19 Piece BBQ Tool set puts you in a category above any other. The unique pieces including 8 corn cob holders, 4 skewers,grill cleaning brush/scraper, basting brush fork with 3 prongs, spatula with built-in bottle opener knife and tongs. The wood grain on the handles and handy hang-up feature are an added plus. All pieces fit in the special handled carrying case so you can take them with you on camping trips or wherever your grilling needs take you. Bobby Flay’s Grill It book contains 150 simple and delicious recipes organized by ingredient, with chapters covering juicy beef steaks and succulent shrimp, of course, as well as perhaps less traditional grill fare such as asparagus, fruit, lamb, scallops, potatoes, and squash, so you can expand your backyard repertoire. Bobby teaches you how to grill each staple perfectly while also offering an arsenal of ideas for how to transform your favorite ingredients into something inventive and satisfying. 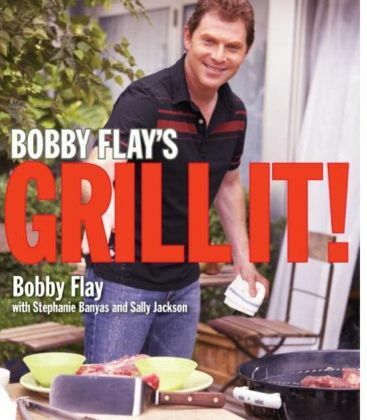 One (1) winner will receive a Chef Master 19-Piece BBQ Tool Set & a copy of Bobby Flay’s Grill It book. To enter to win, simply leave a comment in the post letting telling me what you’d like to make on the grill this summer. That’s it! You’re entered to win! Deadline: Friday, June 3rd, 2016 at 11:59pm EST. Looking forward to grilling veggies, BBQ chicken & even some fish ! My favorite thing to grill is meat and veggie kabobs. Thank for the chance to win! My favorite thing to grill is chicken and fresh vegetables! Thanks for the chance to win the grill set! Looking forward to seeing my hubby use the new grilling tools while I watch him! I would grill up some stuffed peppers with this set. Judy! 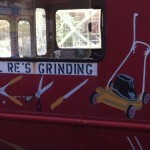 Great grilling tips and tips on the meat cuts! Good luck with your giveaway! #beeftogether! My family loves to grill and we do it several times a week during the summer. Some of our favs are hamburgers, hotdogs, chicken, ribs and steak.